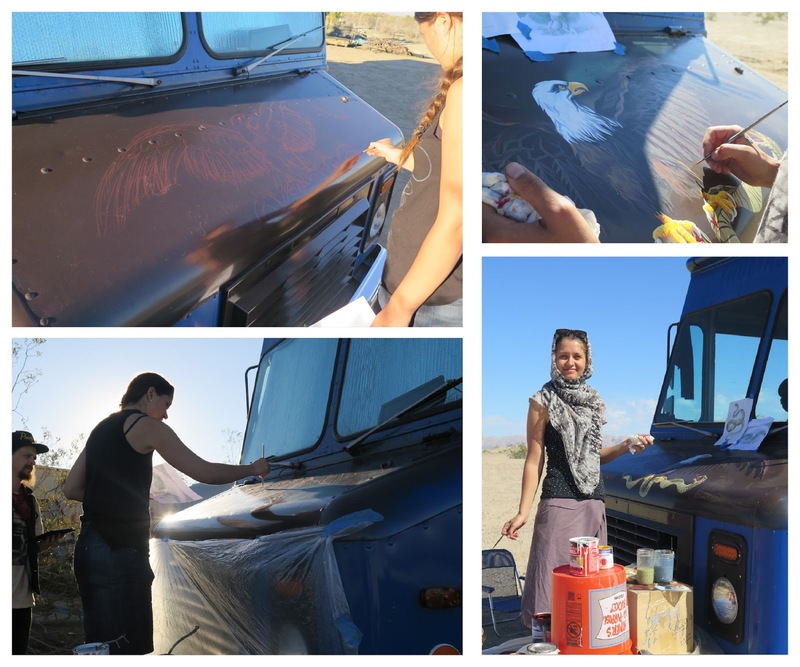 In the midsts of hot California desert my friends Jenny and Learning asked me to paint something "american" on their truck. What can be more "american" than the eagle? 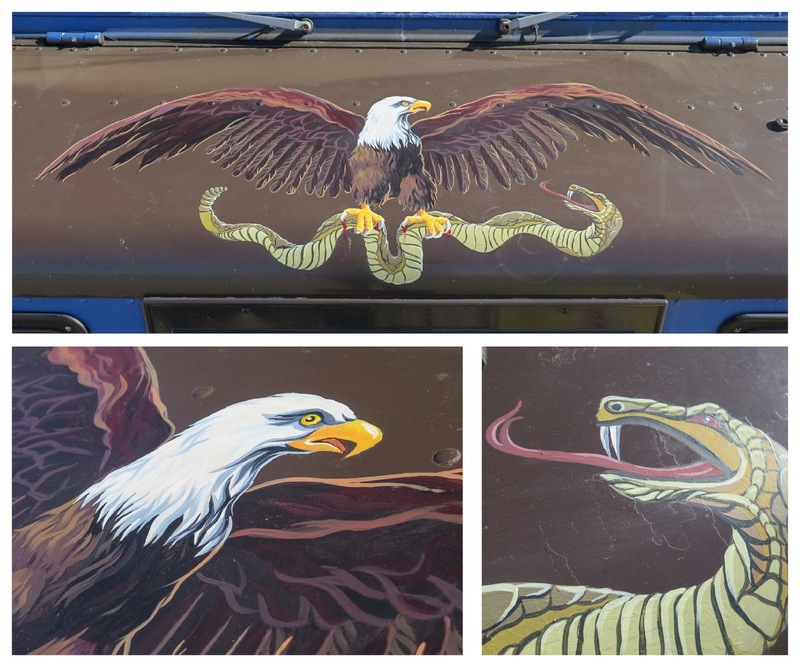 What can be more cool than the eagle killing a snake?